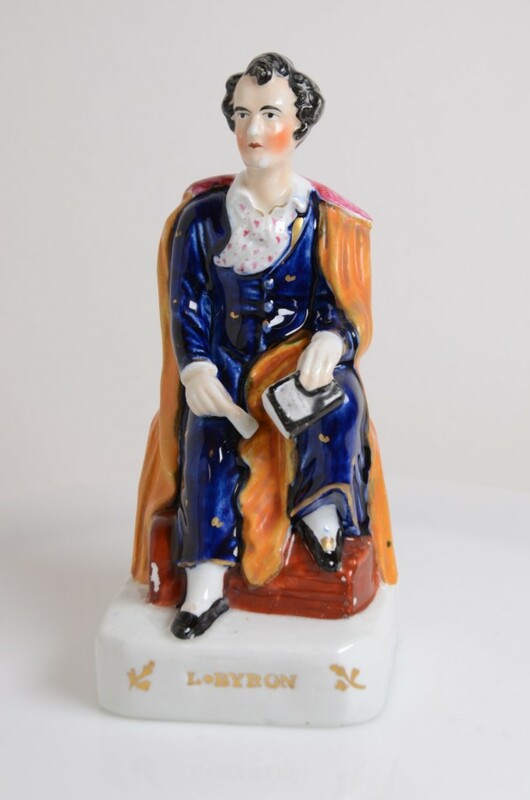 A fine figure of Lord Byron seated on a titled square base with indented gilt capitals and leaf design made by the Alpha factory. 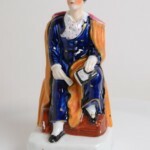 Byron is found seated, he is holding a book in his left hand, his right holds a scroll, wearing a long cloak, jacket, neckerchief, and trousers. This figure is in perfect condition.